When Saskia, a usually healthy and happy toddler developed a slight temperature, it didn’t seem to be anything to worry about. At first doctors thought it was an ear infection. But when the fever persisted, and Saskia got weaker her parents, Stephanie and Duane, knew something wasn’t right. 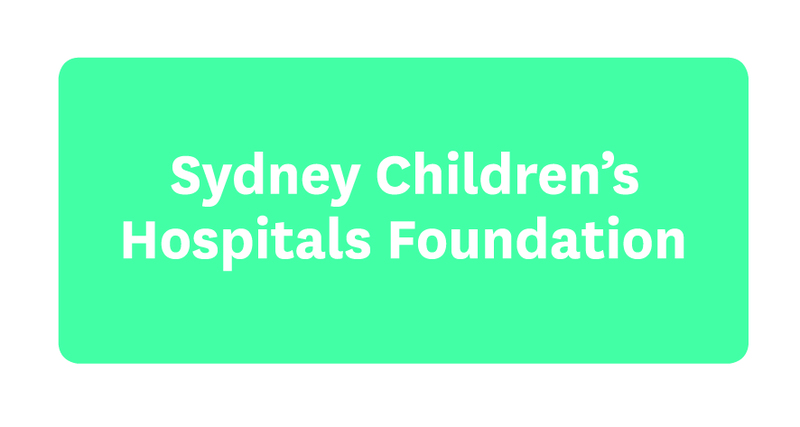 They took Saskia to the Emergency Department at Sydney Children’s Hospital, Randwick. As soon as she arrived, the expert staff began to run tests to find out what was wrong. An initial chest x-ray followed by an MRI scan revealed devastating news. 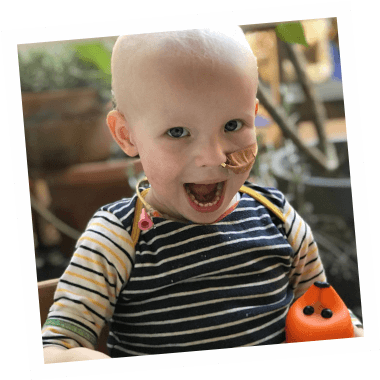 Saskia had an aggressive cancerous tumour called a Neuroblastoma. It was stage four and had already metastasized, meaning it had spread to other parts of her body including her skull, jaw and pelvis. 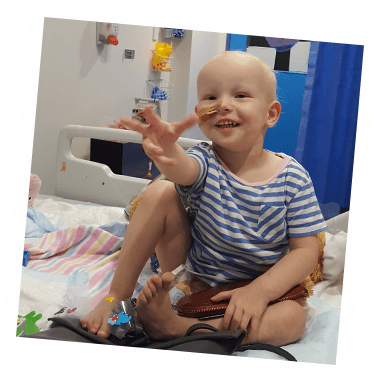 Clinicians from the Kids Cancer Centre (KCC) at Sydney Children’s Hospital, Randwick had completed a clinical trial in stage four Neuroblastoma and findings from this research meant that doctors knew the very best course of action to take for Saskia. A 15-month treatment plan was designed specifically to combat her type of cancer. First, she had a biopsy and more scans to determine the extent of the disease. She was then scheduled for surgery to have a central line inserted, so she could begin chemotherapy. 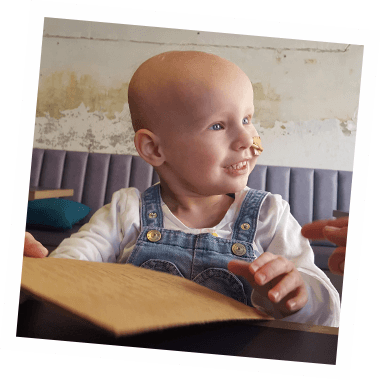 Saskia would need eight rounds of chemo in quick succession, which according to the clinical trial they were involved in, is possible if combined with special injections to protect her immune system. Surgeons then went in to remove as much of it as they could. They managed 95% but the remaining 5% was too close to vital arteries so it was left. Saskia then started the next phase of her treatment. She received a stem cell transplant in which she received a very high dose of chemo followed by a ‘recovery’ of her own stem cells. This took six weeks with the time spent in isolation as her immune system was so compromised. Saskia was very weak following the transplant. She lost weight and was unable to walk. After recovering from the transplant, it was then time to start radiotherapy which she’d need every day for three weeks. Saskia has (almost) finished radiotherapy and is now ready to start immunotherapy for the next six months. Although it appears Saskia is responding well, she is just over half-way through the treatment and has still a very long journey ahead of her. Without ground-breaking research, Saskia would not be benefitting from world class, long-term studies on this hard to treat cancer.